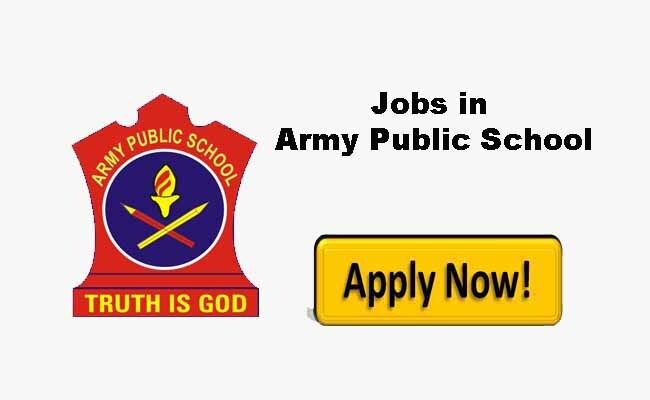 Army public school APS Samba Jobs Recruitment 2018: APS Samba recently published the official jobs notification for the posts of TGT, PGT,LDC jobs . Army Public School APS Samba going to recruit various teaching and nonteaching vacancies. All the interested candidates can apply for the various vacant positions in the apssamba. The APS Samba published vacancies for jobs aspirants of J&K. Interested Candidates must possess at least Graduate or Bachelor degree or any higher/ equivalent qualification pass from an institute recognized by the State Government to apply for the same post. All the interested and Eligible candidates can apply on the application form available with the school office from 06 Aug 18 to 13 Aug 18 between 1000 hrs to 1300hrs. Cost of application form is Rs. 100/-. Jkalerts will provide you the complete detail about this J&K Govt job notification like Eligibility criteria, How to apply Online, Important dates, Age limit with relaxation, post by category, Selection process & official notification. So interested candidates are requested to read it carefully to apply APS Samba jobs. APS Samba invites applications for drawing of panel the following tentative vacancies of teaching/non teaching staff required for the academic session 2018-19. Teaching Nonteaching Jobs Details APS Samba. Eligibility Graduate in the subject and B.Ed with minimum 50% marks in each. Eligibility Post graduate in Physics with B.Ed with minimum 50% marks in both. Eligibility Graduate or ten yrs of service as a clerk (for ex servicemen). Computer Literate. Typing with a minimum speed of 40 WPM. Knowledge of MS Office (speed 8000 key depression/hour) basic knowledge of accounting. Age limit 40 years and for ESM upto 55 years. Age limit for teachers is 40 years for the fresh candidates and 57 years for the candidates having min five years of teaching experience in last 10 years. Computer literacy and good communication skills are essential. Apply on the application form available with the school office from 06 Aug 18 to 13 Aug 18 between 1000 hrs to 1300hrs. Application Form Fee Cost of application form is Rs. 100/-. Last date for submission of duly completed forms (with attested copies of all testimonials) is 13 Aug 18. All candidates are requested to submit their email IDs and active telephone Nos at the time of submission of application form. Dates of the interview for the shortlisted candidates will be intimated later through email/telephonically.